You will need a BrightSparks account to begin with! Each section will take approximately 15 minutes to fill up. 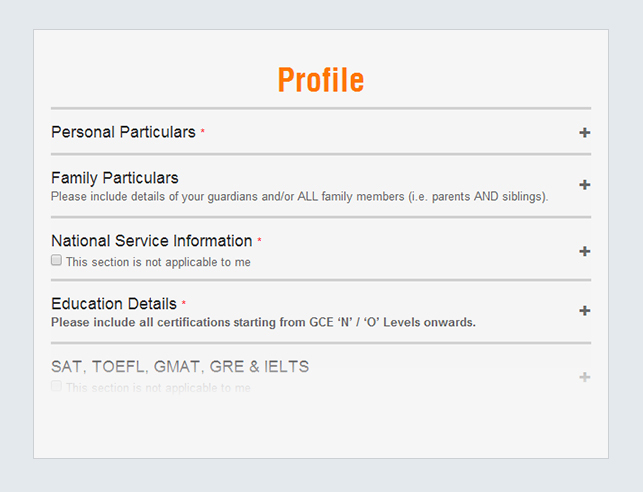 The Profile section captures your basic personal information e.g. Personal Particulars, Education Details etc. Select your current school/alma mater and indicate your current academic year. Click on the + sign to reveal the text fields and proceed to fill in your particulars. NOTE: Fields with * are compulsory fields. If possible, try not to leave any fields blank. 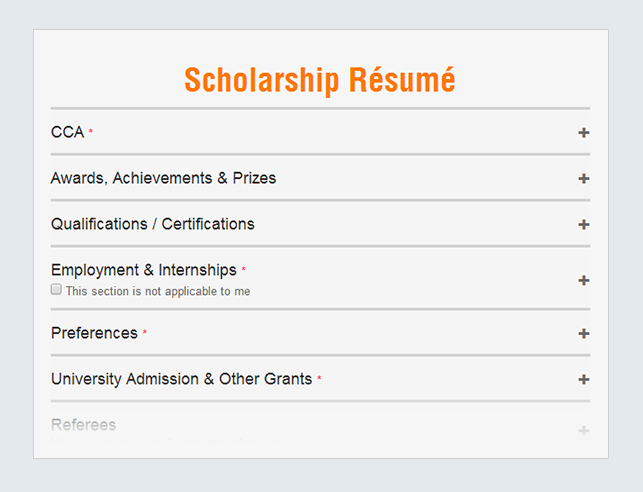 The Scholarship Résumé section captures additional information of you e.g. CCA, Awards & Achievements etc. 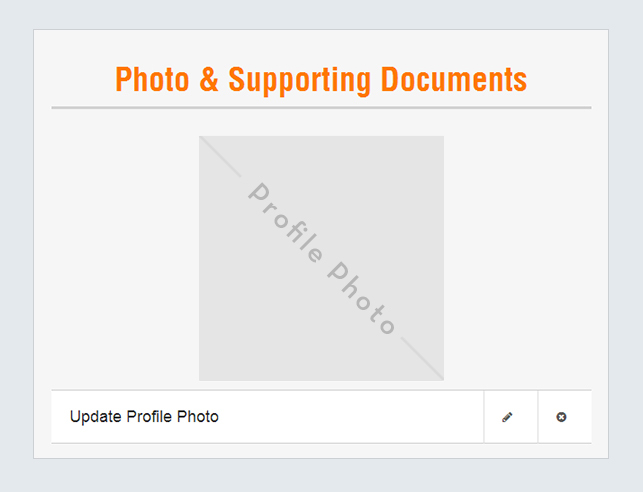 The Photo & Supporting Documents section requires you to upload a photo of yourself and any other relevant documents e.g. testimonials, special certificates, and scholarship essays. Click on the Pencil button in order to upload the relevant files for each section. To remove an uploaded file, simply click on the Cross button. Once you have completed this, you are done! Start Searching and Applying for scholarships now! NOTE: The total file size of ALL supporting documents uploaded must not exceed 3MB. If the documents you intend to upload exceed the file size limit, please compress them using a file compressor tool. Head on to our FAQ page for more common queries addressed.